Senior White House adviser Jared Kushner told Axios in a statement Thursday that he believes special counsel Robert Mueller has "confirmed" his assertions that there was no collusion with Russia, and hopes his closed-door interview with the Senate Intelligence Committee Thursday will help put ”an end to these baseless accusations." Why it matters: This is the first comment Kushner has made since Attorney General William Barr produced his summary of the Mueller report on Sunday. There had been speculation that Kushner could be indicted as part of Mueller's probe, but that didn't happen. According to Barr, Mueller did not establish that any member of the Trump campaign "conspired or coordinated with the Russian government." “In 2017, I was one of the very first to say that I would cooperate with congressional investigations and the Office of Special Counsel. Also in 2017, I stated publicly over and over, that there was no collusion, coordination or conspiracy between the Trump for President campaign and Russia. After what has to be one of the most thorough and exacting investigations in history, the Office of Special Counsel has confirmed my assertions. The backdrop: Kushner first appeared before the Senate Intelligence Committee in July 2017, where he testified about his contacts with Russians during the campaign. Those contacts have been a cloud over Kushner throughout his time at the White House. Kushner was present at the June 2016 Trump Tower meeting between senior Trump campaign officials and Russians. Donald Trump Jr. agreed to the meeting after being told they'd receive information on Hillary Clinton. 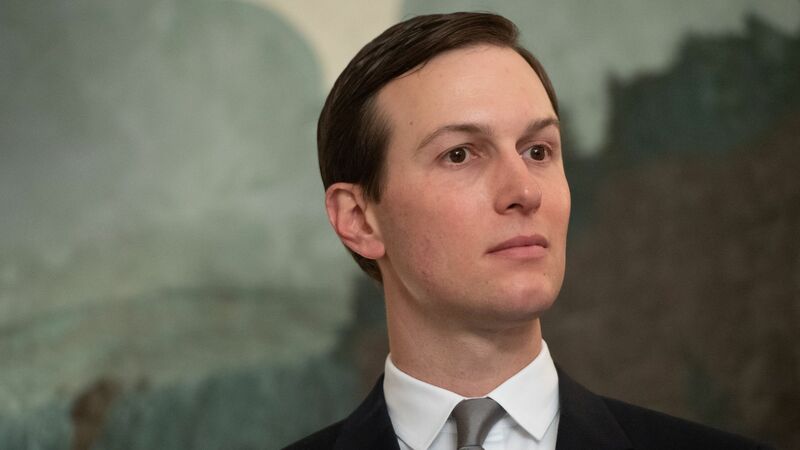 During a December 2016 meeting with former Russian Ambassador Sergey Kislyak and former National Security Adviser Michael Flynn at Trump Tower, Kushner reportedly suggested a secret backchannel be set up between Trump's transition team and Russia to discuss policy issues. Kushner also met with Russian banker Sergei Gorkov in December 2016, at the request of Kislyak. Kushner later testified to Congress that "at no time [during that meeting] was there any discussion about my companies, business transactions, real estate projects, loans, banking arrangements or any private business of any kind." Kushner, along with former Attorney General Jeff Sessions, failed to initially disclose any of these contacts with Russians on his SF-86 security clearance form.